Launched in 2011, WeChat is one of the largest messaging platforms available. The app was created in China and it is estimated that it has over 700 million active users, at least 10 percent of them located outside China. WeChat is known for offering not only text and voice messages, but also video games, video conferencing, location sharing and more. With WeChat, it is also possible to share photos and to send fun emoticons and stickers. WeChat is especially popular among teenagers thanks to the cool and unique communication options that it supports. The app works on Android, iOS, Windows Phone and other mobile platforms. Why do Youngsters like WeChat? WeChat offers an appealing solution for teenagers who want to stay in touch with their friends. Its unique, user-friendly interface, along with some innovative features, make WeChat the favorite alternative to Facebook for many people. One of the options available allows users to connect to others just by shaking their smartphone. While this may be seen by kids as a cool interaction function, parents should be concerned about the possible risks involved. Kids may receive friend request from strangers and if you are not keeping an eye on the way in which they use the app, they may accept these requests, which poses a threat to their safety. Below are the main features supported by WeChat. It is possible to set up groups and add up to 40 users. While this may be a practical way for kids to stay in touch with the school friends, there are many situations in which these group chats are used for cyberbullying. The app offers also one to one chats, which allow kids to talk directly to another users. Since photos can be shared, this opens the gate to sexting and other issues. In WeChat, it is also possible to upload profile pictures and this can represent a risk to kids’ privacy and safety, [particularly if they are chatting to strangers. The app also supports video calling, which may also be misused. In adition, WeChat supports voice messages and a feature called Moments, which gives users the possibility of posting pictures that other can see, just like on Facebook. The Look around option allows you to find other WeChat users nearby and you can chat with them, even if they are not in your contact list. The fun features that capture the attention of young users include “Drift Bottle”, which is an option that allows them to send a voice message as if it was a message in a bottle thrown into the sea. The bottle travels across WeChat and anyone can pick it and listen to the message. As previously mentioned, there is also a feature that when activated, allows users to connect with other WeChat users by simply shaking their phone. If another user also shake their phone at the same time, their name will show and you can start talking to them. WeChat can also be associated to the user’s Facebook account as the app supports integration with social media apps. 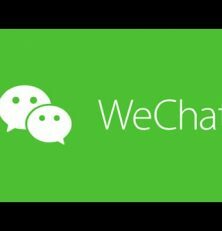 Web WeChat is another feature that is loved by many users of this platform, specially teens, as it allows them to use WeChat, even if they don’t have their phone around or cant’t use it. First, they will need to scan the QR code on the computer screen, using their phone. Once this is done, they will be able to access their WeChat profile on their computer. Even if your kids are meant to be writing an essay for school, this feature allows them to keep using WeChat. Why should you monitor WeChat messages? WeChat offers great functionality, but kids are vulnerable and as a parent, it is your responsibility to ensure that they are safe. If you are concerned about who they talk to or what kind of chats they are holding, your first thought may be to talk to them about them and maybe ask them to let you check their phone. The problem is that if they have something to hide, they will probably refuse or just wipe out anything that they don’t want you to see. In the end, you won’t know exactly what is happening and you may end up with more questions than answers. This is why, spy software may be the best option. In order to be able to read their WeChat messages, you need a mobile monitoring app that is effective and that offers advanced technology. FlexySPY is one of the best options available and it allows you to monitor several messaging apps, including WeChat. You will be able to check their messages, photos shared, contacts, call logs and more. All that you need to do is to install the app on your kid’s smartphone. The app can be installed in just a few minutes and once it is running on the device, you will be able to track all their online activities. FlexySPY collects information from the target phone and uploads it to a web account that only you can access using the login details and password created during the registration. In this account, you will be able to access all the data that will let you know if you have reasons to be concerned and if your child is being targeted by cyberbullies, online predators and other dangers. Teenagers love their smartphones and preventing them from using them is not the best solution. However, it is crucial to keep an eye on the way in which they use their phone to make sure that they are not accessing inappropriate content. Internet has many benefits, but there are also dangers and with a mobile monitoring solution like FlexiSPY, you will be able to take action whenever it is needed. I like to spy on my husband wechat messages but i do not have access to his phone. can you help? I need to spy my girlfriend.. Wechat massage. You can help me? I need to spy my friend phone can I do it without touching his phone ? ?